Missing a key player to a football cup fixture, the 1st V Squash team displayed impressive focus and determination to defeat Harrow on their home courts. Alex Ukrasin (H), stepping into the 1st V at short notice, was commended by onlookers for his dogged determination and won several points in every game, but eventually lost 0-3; however, the experience of playing against a strong opposition 1st V will serve him well. Natalie Chak (Wh) started the third seed match confidently, winning the first two games comfortably before her opponent rose to her level in the next two games to draw level. 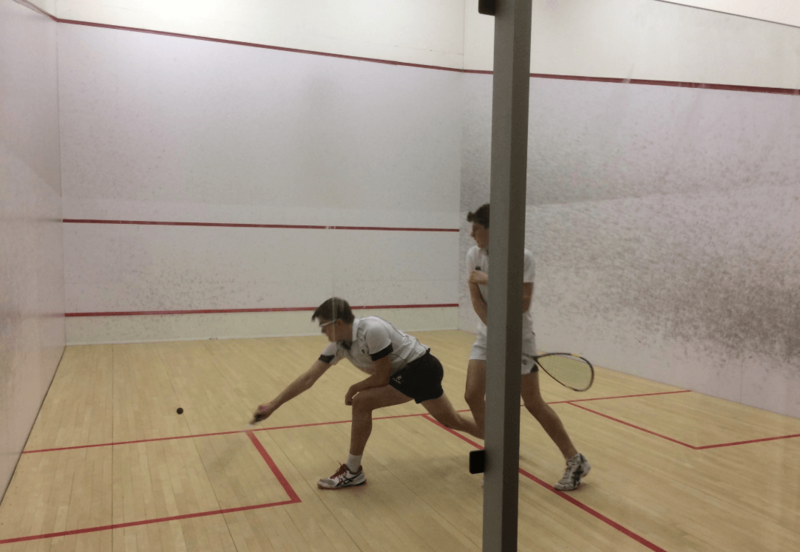 In the deciding game, Natalie drew on her experience by controlling the pace of the squash well and pushing her opponent deep to win 3-2 overall. In the second seed match, Stan Tanguy’s (G) racquet skills and court coverage allowed him to secure another victory for Epsom without dropping a game. First seed Ben Harris (Rn), recovering from an injury to his playing arm, battled hard as always, but could not produce his best squash against an excellent opponent, who won 3-0. With the fixture level at two matches apiece, James Bull (G), playing up at third seed, stepped on court to face the pressure of a deciding match against one of Epsom’s toughest rivals. James won the first two games in style, with an excellent combination of deep drives, controlled volleys and tight drop shots. His opponent then fought back to win the third game 11-6 and continued this momentum to build a 6-2 lead in the fourth game, but James maintained focus, coming back to win the game 14-12. The final score was therefore 3-2 to Epsom, the 1st V extending an unbeaten run which began in mid-September. Great schools deliver great results, and Epsom’s academic outcomes reflect our reputation for excellence.